Want tosave 1,70 kn on this order and become Loyalty program member? 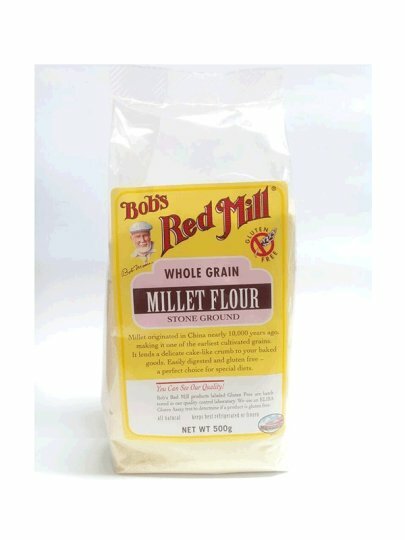 Millet flour is a beautifully nutritious and good source of protein, essential amino acids and dietary fiber. Millet is also an excellent source of manganese, phosphorus and magnesium. Unlike most other cereals, this versatile, glutinous grain is alkaline, making it easy to digest and helps balance the body's natural tendency towards acidity. It has a light, mild flavor, making it perfect for roasting sweet or savory products. * No gluten. Can have soy and nuts in trace. Does not contain wheat or dairy products. R5 ELISA CERTIFICATES.